Get a Free deluxe highlighting powder to find your perfect glow! Free online with any $25 order. Choose between Kevyn Aucoin Candlelight or Tarte Stunner. Enter the promo code GLOWON at checkout. Offer valid while quantities last. 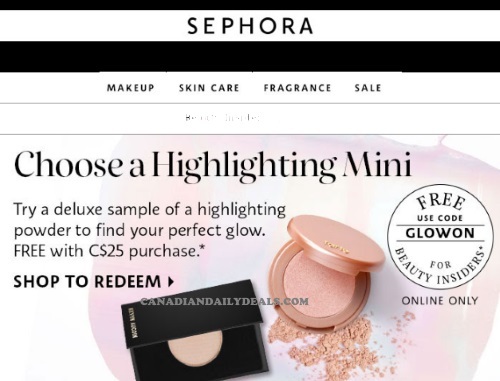 Want more Sephora free deluxe sample offers? Click here to see our other Sephora promo codes posts.